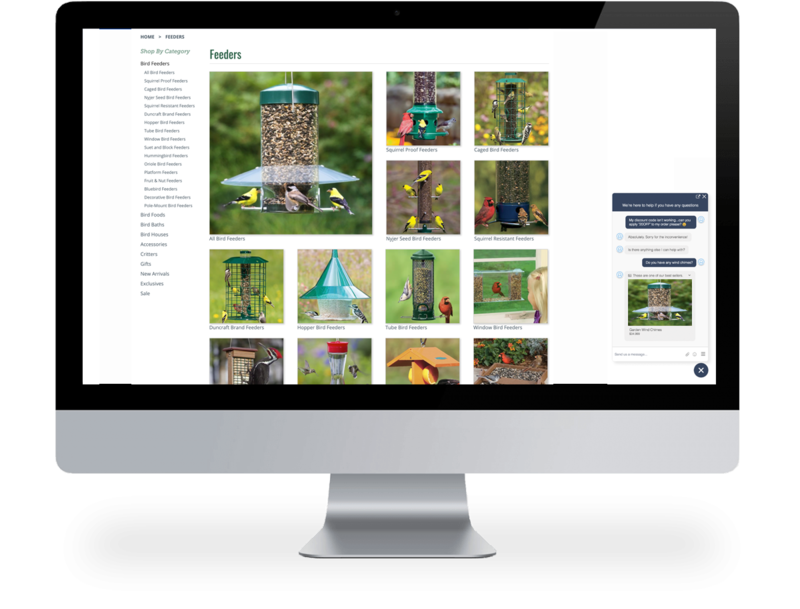 Keep your customers right where you want them with chat on your website. Present your website visitors with a seamless way to engage with your brand while they shop or get support. Offering web chat allows your site visitors to engage with you whenever they’re ready. Proactively invite website visitors to chat based upon predetermined criteria such as time spent on a page, page view history or customer segment. When you respond to your customers in their moment of need, you build loyalty. Quiq’s web chat lets you engage customers at the point of purchase for higher conversions. Unlike other chat software, Quiq puts the experience first with a truly asynchronous solution. If a customer accidentally closes your web page or has to step away, they can restart right where they left off, whenever it’s convenient for them to return. Quiq’s live chat solution delivers a simple and personal experience for customers. 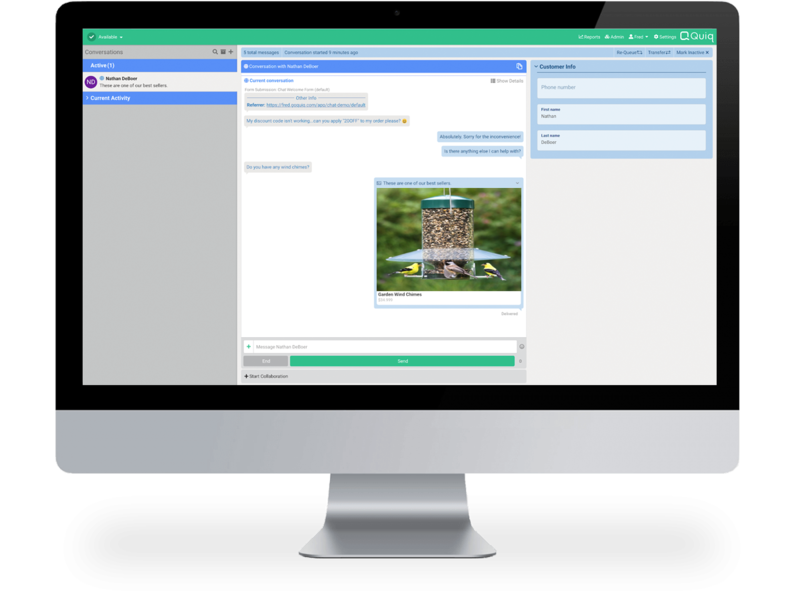 Behind the scenes, chat is just another channel in Quiq’s multi-channel messaging platform allowing your employees to serve multiple customers on different messaging channels at once.